As one of Americas most famous writers and novelists, Nathaniel Hawthorne needs no formal introduction. He worked at a Custom House and joined Brook Farm, a transcendentalist community, before marrying Peabody in 1842. The couple moved to The Old Manse in Concord, Massachusetts, later moving to Salem, the Berkshires, then to The Wayside in Concord. The Scarlet Letter was published in 1850, followed by a succession of other novels. A political appointment took Hawthorne and family to Europe before their return to The Wayside in 1860. Hawthorne died on May 19, 1864, leaving behind his wife and their three children.Much of Hawthorne's writing centers on New England, many works featuring moral allegories with a Puritan inspiration. His fiction works are considered part of the Romantic movement and, more specifically, dark romanticism. His themes often center on the inherent evil and sin of humanity, and his works often have moral messages and deep psychological complexity. 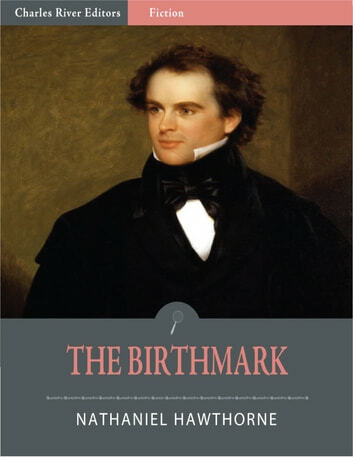 Several of them are considered examples of the finest American literature.This edition of Hawthornes The Birthmark is specially formatted with a Table of Contents and is illustrated with over a dozen pictures of Hawthorne, his residences, and the House of 7 Gables.